The Green Business Bureau is the trusted authority in green business. Our EcoAssessment™ and EcoPlanner™ tools enable businesses to understand, prioritize, implement and certify green initiatives and sustainable business practices. 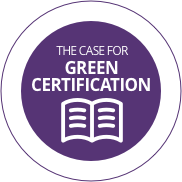 As a trusted 3rd party, we provide businesses with an official seal to validate and promote their green commitment and accomplishments. 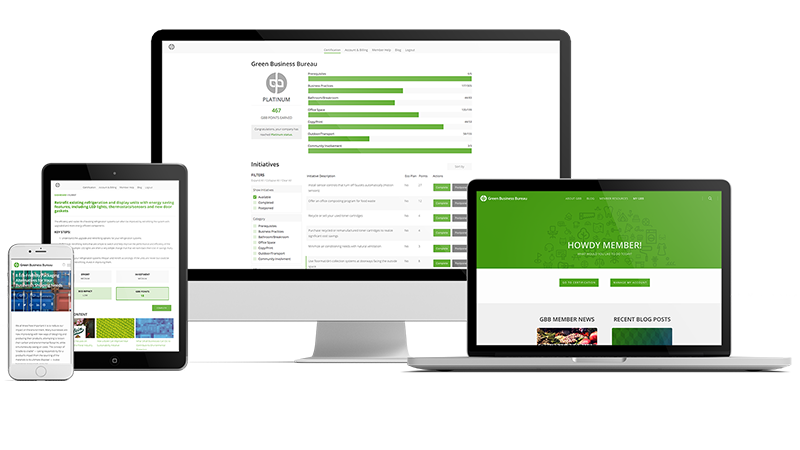 Become a GBB Member and validate your current greening efforts with the GBB EcoAssessment™, an easy-to-use online tool that credits your business for completed initiatives. 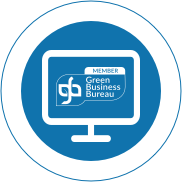 Simply complete the online self-assessment to earn the GBB Member Seal. 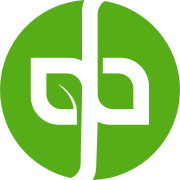 Become a GBB Member to Track, Prioritize and Plan your greening initiatives with GBB EcoPlanner™ an online application that lets you choose from over 400 self-guided initiatives. Complete new Initiatives to improve efficiency and save money while also earning the GBB Member Gold & Platinum Seals. 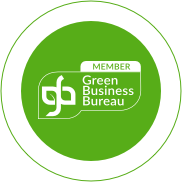 Become a GBB Member to market your sustainability commitment in a credible way. Attract and retain customers and employees who care about being green. Use the GBB Seal, social media and marketing materials to promote your green business. 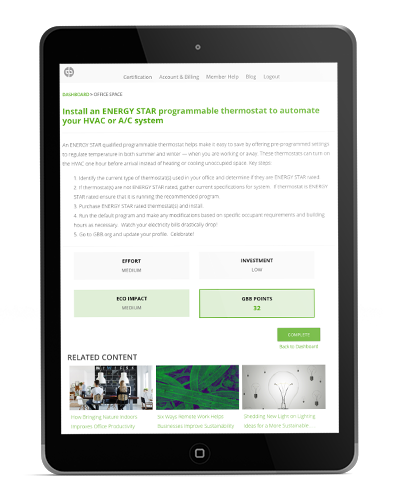 Simply complete the online self-assessment in the GBB EcoAssessment™ tool and finish several prerequisites to receive the GBB Aware Seal. Complete enough initiatives in GBB EcoPlanner™ to reach 200 EcoPoints™ and earn the GBB Gold Seal. Choose from over 400 greening initiatives across 8 categories to earn GBB EcoPoints™. Individual initiatives are rated on environmental impact, implementation cost and effort, and are worth 1 to 45 EcoPoints™. How Do Companies See Sustainability? How Do Employees See Sustainable Companies? How Do Hiring Prospects See Sustainable Companies? Our seal is internationally recognized and trusted by businesses all across the globe. Our exclusive ‘clickable’ web seal takes customers and employees to a personal sustainability webpage that shows a business’s green level, points and accomplishments. Members of the Green Business Bureau community get access to valuable content, eco-plans, and simple-to-use online tools to prioritize, implement, track and self-certify their green initiatives. Our members have shown that green business practices improve operational efficiency, reduce operational costs, enhance their brand, retain employees, attract customers and drive sales.